Fact Wire has obtained a legal filing by United Arab Emirates’ DP World at the Hong Kong High Court against China Merchants Port Holdings Company Limited, accusing it of causing the Djibouti government to revoke the firm’s exclusive right to run the country’s ports and specifically the Doraleh Container Terminal. Hong Kong-based China Merchants Port Holdings, a subsidiary of state enterprise China Merchants Group, deals mainly in the construction of ports, marine container logistics and operating container terminals. It has actively participated in large-scale port infrastructure projects in multiple countries under China’s ambitious Belt and Road Initiative in recent years. China Merchants Port Holdings now controls the controversial 1,150-hectare Port of Hambantota, which Sri Lanka handed over to China on a 99-year lease. Its inroads into Djibouti, located strategically between the Arabian Sea and the Mediterranean Sea, has for years been at the centre of legal disputes between the African nation and the UAE state enterprise. 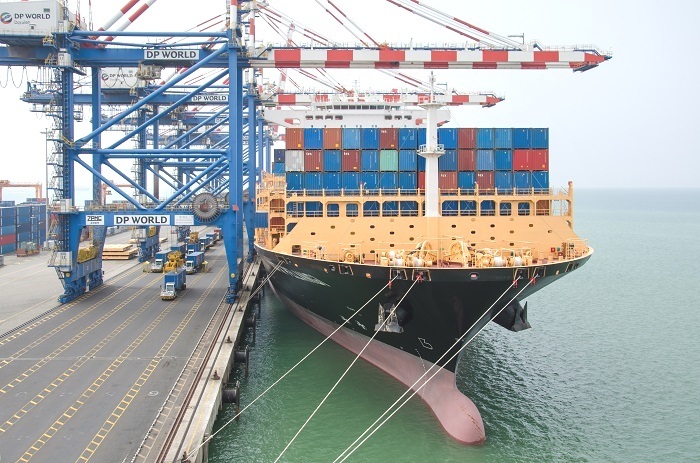 Doraleh Container Terminal commenced operations on February 2009, but the Djibouti government began expressing dissatisfaction with its agreement with DP World. It said the concession agreement “gave a foreign company the opportunity to oppose the fundamental interests of the Republic of Djibouti by hindering its economic and social development process”. The Chinese firm is a direct competitor of DP World and was actively looking to invest in ports to strengthen its position in East Africa. Djiboutian authorities sold 23.5 pc of its shares in DCT to China Merchants Port Holdings, effectively allowing the Chinese firm to hold 15.67 pc of the shares, contradicting the concession agreement, the legal filing said. DP World, which operates 78 ports in 42 countries including Terminal 3 in Kwai Chung, Hong Kong, said under its agreement with the Djibouti government, it would have ‘full and exclusive right to establish, develop, and operate the Doraleh site’.